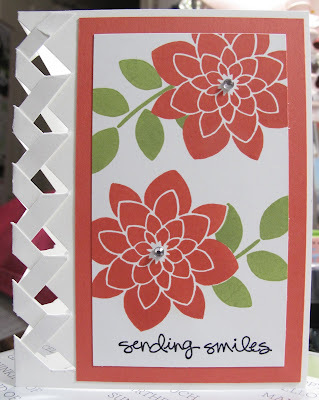 This is a pretty easy card to make but yet it looks like it would take so much time to create. I will try to link the template for the lines you cut on the edge. Thank you for coming to my blog and taking a look at my project. I really appreciate it. If you would like a Stampin' Up! demonstrator and are interested in purchasing a few items then go here. Also, if you would like a catalog just let me know at scrapnmom@live.com and it would cost you just the price of shipping. Thanks again!